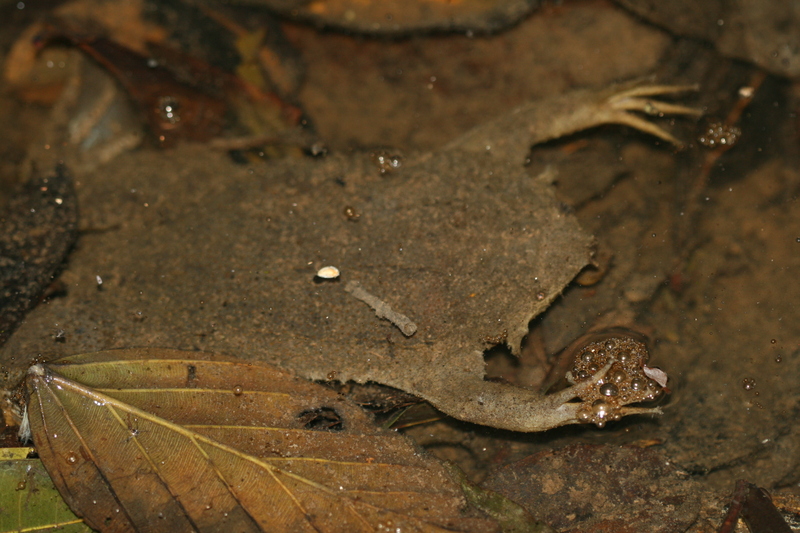 This frog is not roadkill. It's supposed to be like that. 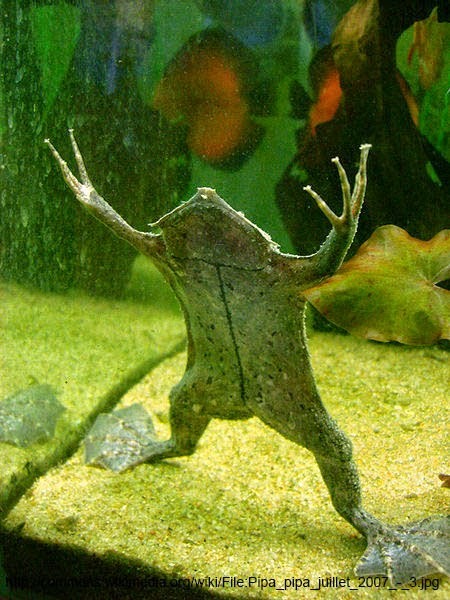 The Pipa pipa is a frog which is commonly called the Suriname toad in English. When you have a toad which looks like that I don't know why you would name it after its location. Even the scientific name is more interesting as pipa means kite. Why couldn't we call it a kite toad? Anyway as you may have noticed it is very flat. They mimic rotting leaves on the bottom of swamps and slow moving bodies of water and are almost entirely aquatic. Their creepy long fingers are used to feel around for prey while remaining mostly motionless. 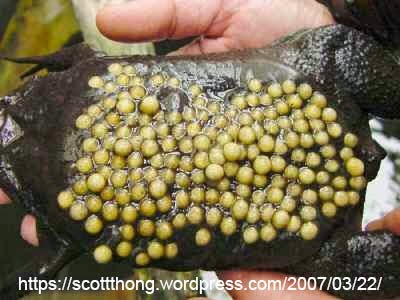 Female eggs are attached to their back when they are fertlised and develop in little pockets that form giving the female an even more bizarre appearance. The tadpoles develop here until they are ready to emerge. The Pipa pipa is mostly found in the North of continental South America but it is also known from Trinidad and Tobago.